A collection of 3 Redwood Trees - 1 plant each of; Metasequoia glyptostroboides, Sequoiadendron giganteum, and Sequoia sempervirens supplied in 9cm Pots. The name sequoia sometimes refers to the subfamily Sequoioideae, which includes S. sempervirens along with Sequoiadendron (Giant Sequoia) and Metasequoia (Dawn Redwood). Referred to generally as ‘Redwoods’. 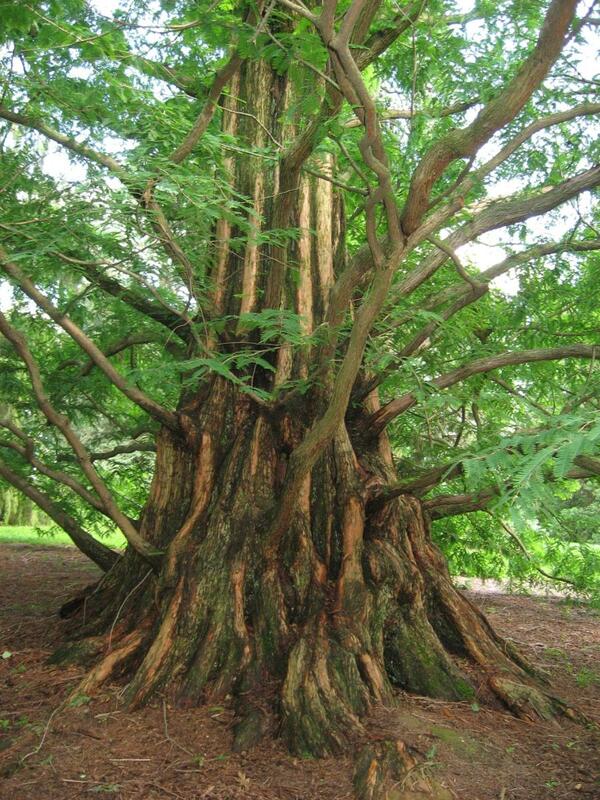 Sequoia sempervirens is the sole living species of the genus Sequoia in the cypress family Cupressaceae. 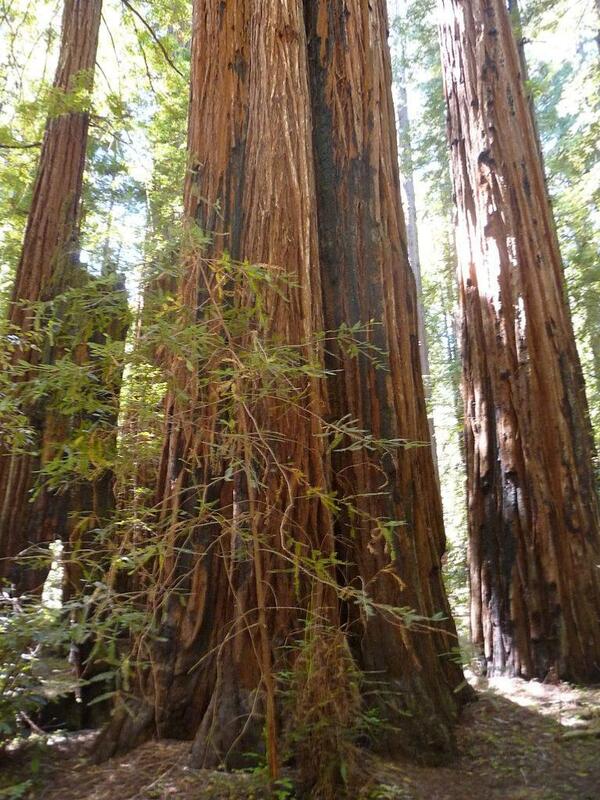 Common names include Coast Redwood and California Redwood. It is an evergreen, long-lived, living 1,200–1,800 years or more. This species includes the tallest living trees on Earth, reaching up to 379 feet (115.5m) in height (without the roots) and up to 29.2 feet (8.9m) in diameter at breast height . These trees are also among the oldest living things on Earth. Before commercial logging and clearing began by the 1850s, this massive tree occurred naturally in an estimated 2,100,000 acres (8,500km2) along much of coastal California and the southwestern corner of coastal Oregon. There is some evidence that the species is the result of a pre-historic hybridisation between Sequoiadendron and Metasequoia or ancestors of them, when the two species were not so distantly separated. This seems plausible as although the foliage of Sequoiadendron in dissimilar to the other Redwoods, it is evergreen which the Dawn Redwood is not – Sequoia sempervirens being in effect an evergreen Dawn Redwood. Sequoiadendron giganteum Giant Sequoia; also known as Giant Redwood and Wellingtonia are the world's largest single trees and largest living thing by volume. 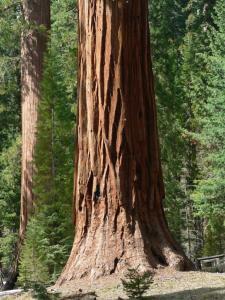 Giant sequoias grow to an average height of 50–85m (164–279ft) and 6–8m (20–26ft) in diameter. Record trees have been measured to be94.8m (311ft) in height. Claims of 17m (56ft) diameter have been touted by taking an author's writing out of context, but the widest known at chest height is closer to 8.2m (27ft). Between 2014 and 2016, specimens of Coast Redwood were found to have larger trunk diameters than all known Giant Sequoias. 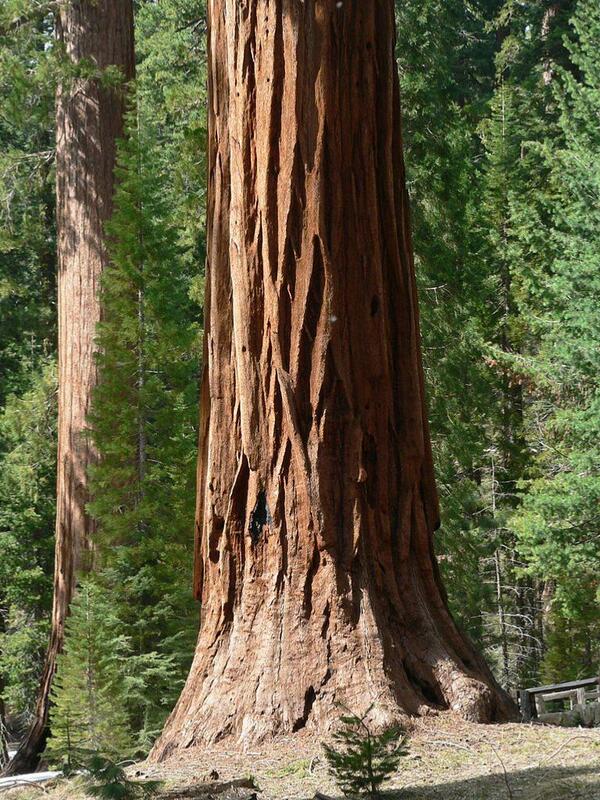 The oldest known Giant Sequoia based on ring count is 3,500 years old. Giant Sequoias are among the oldest living things on Earth. The natural distribution of giant sequoias is now restricted to a limited area of the western Sierra Nevada, California.